DO YOU WANT EASE IN YOUR LIFE? Let me start off by explaining that most of my life I have LOVED TO DRIVE!!!! I even had my own car (a Corvair I used to fill the front gas tank up, rev it up and do sudden breaks and do "Donuts" with it!!!) at just 15 years old – BEFORE I even had my license!!! And I LOVED giving people rides - growing up in Southern California (in Orange County [10 minutes from Disneyland and the beach]), I wouldn’t think twice about driving a friend 2 hours through the Los Angeles traffic to “the Valley”. I LOVED to just get in a car and drive for hours (ESPECIALLY on the North Pacific Coast of California!!) – it was like therapy – a time to go within but then after I was always REALLY INVIGORATED and couldn't sleep for hours! And at one time in my life – for a year - I was driving between San Francisco and San Diego every other month! I drove from San Diego to Sarasota, Florida all by myself. I’ve driven through small villages in Italia and at 110 miles an hour on the AutoBaun in Germany. I’ve never even come close to being in an accident either causing it or being a passenger so I’m VERY FEARLESS with driving and basically – given the right conditions (car [MINE – NOT others], roads) – I drive like Mario Andretti (the race car driver)!!! With that said – I will NOT NOT NOT own a car in Costa Rica!!! Now, this is SOOOO NOT for everyone!! First off – everything depends on where YOU CHOOSE to live!! I’ve INTENTIALLY chosen to live in areas where I had just about everything I could need within an EASY walk, talk a bus to, or at least take a fairly reasonably priced taxi. For me this has been ESCAZU!! Now, before you go getting all “YUKKK - Escazu is Gringo Land” on me – hear me out! I USED to think the same thing as that – TILL – I FINALLY WENT over to the area! So this can work for me also because I don’t get out much (I work from wherever I am via the internet) so if you’re an active get out every day kinda person – going to areas all over – or you have kids – it may not work for you (though I’ve known numerous people where it HAS worked that have had kids or that were very social but most of it was in their area or accessible via nearby buses). So now that I’ve given you some examples of how I’ve lived without a car for OVER 7 years – here are some more specifics (I’m just updating this from YEARS ago and will be enhancing it more this weekend as some more issues have since come up). I'm a REALLY BIG picture kinda gal!! Worrying about someone slashing my tire at a light and then robbing me when they're trying to "help me"
Needing to know where I'm going!! I just get in the taxi and tell the driver where to take me and 95% of the time they know! Time - taxi's tend to know the backroads, etc. and can often get there faster. Flying is MEGA fast!!! To say nothing of how EXPENSIVE cars are in CR, gas (it’s getting up towards $6/GALLON), repairs (IF you can find the parts), taxes if you're shipping (REALLY HIGH!!). When I want to go explore some place in CR I either hire a LEGAL driver/guide that can REALLY show me the ins/outs - things I'd NEVER see driving myself! I also get to REALLY ENJOY/take in the scenery (something people with cars RARELY get to do since they're tooo busy worrying about all above. Contact me at LivingLifeInCostaRica@gmail.com if you want any resources for that). Or I take NatureAir.com which often has AWESOME last minute airfares throughout CR!! (I just checked and they have some OUTRAGEOUSLY CHEAP Last Minute flights - like to Arenal/La Fortuna starting at $39, $56-$57 gets you to Nosara/Golfit/Drakes Bay/TamaGringo/Tamarindo, Tambor-near Montezuma $41, Torteguero $46 [plus about $20 in taxes though] and it's just 30 minutes of my time [my time is worth $$$ so this IS an issue for me often] vs. 3 1/2-5+ hours to MANY of these places, AND it's a BEAUTIFUL FLIGHT!!). Of course it also depends on where you live (I live in Escazu so I have taxi's available to me 24/7 and 98% of the time they come within 5-10 min.) and your lifestyle (I am still "working" from home with an internet based biz). This also allows me to go out with Purpose - not just to run up for a thing of paper towel which helps me do my part for the Environment/BIG PICTURE beyond me! I go and do a bunch of things at one time and at $8 or so an hour for a taxi when they're waiting - it's STILL WAYYYY CHEAPER than when you add up ALL the costs/expenses involved with owning a car in CR! At least for ME! MOST IMPORTANTLY - NO ulcers!!! CALM - Peace of mind (I drive like Mario Andretti - looking all over - NOT in CR!!! [and I've NEVER had/been involved in an accident!!) and I get to ALWAYS ENJOY the ride!! That's what I'm working towards in my life - EASE, CALM, ENJOYMENT and TRUE FREEDOM!!! At the end of the day it's still WAYYYY more cost effective for me - again - when I'm looking at the BIG picture!! As usual - here's a DIFFERENT way of looking at life (the BIG picture!!). If you ever wish you grew up in the 80′s… you will have one night to experience (or re-live) those good old days. Samsung presents Costa Rica with a blast from the 80′s with the Awesome Festival! Toto (USA) If you have never heard of Toto, then you have definitely been under a rock for the last 30 years… Toto formed in 1976 and is most recognized for its hit tracks “Hold the Line”, “Rosanna”, “Africa” and “Georgy Porgy”. Belinda Carlisle is an American artist who received her first fame as a member of the Go-Go’s, an all-female band that topped the charts and went on to sell over 7 million records. After the Gogo’s, Belinda went solo and produced several 80′s hits including “Mad About You”, “Summer Rain”, “I Get Weak”, “Circle in the Sand”, “Leave a Light On” and “Heaven Is a Place on Earth”. Men Without Hats was a Canadian New Wave group from Montreal, Quebec. Men Without Hats had a uniquely distinctive sound with the baritone voice of their lead singer Ivan Doroschuk. The band produced number one hits such as “The Safety Dance” and “Pop Goes the World”. Ana Torroja is a Grammy Award-nominated Spanish singer. Her biggest solo success came in 1999 with her album, Pasajes de un Sueño (Passages of a dream). Costa Rica… get ready for the 80′s! Coming from Santa Ana: Once you get to the new Parque de Deportes in Ciudad Colon (across from Farmers Market) - turn right. Go down about 4 blocks and you'll see the gate on your left. There will be signs. Coming from Puriscal: Once you're in center of Ciudad Colon past the Church - turn left (after Pali) then make another left and then turn right at the Parque de Deportes, go down 4 blocks and we are on your left side. To Democrats Abroad Costa Rica (DACR) members or Democrats interested in getting involved/helping out to GET OUT THE VOTE!! at Giana Wayman’s lovely penthouse apartment in Escazú (she hosted one 2 years ago that was lots of fun). She will also provide a delicious lunch! where we will help people fill out the FWAB, Federal Write-in Absentee Ballot (the FWAB is the “generic” ballot for people living abroad who did not receive their state ballot). It is important that you come, even if you attended the workshop 2 years ago. You will meet the rest of the team. They NEED LOTS of Volunteers! This workshop will help you get ready to help people fill out their FWAB. because some folks don’t know if they are registered to vote, so we need to be able to check that, and help them fill out the FPCA, too, if they are not registered to vote. Please REGISTER for this workshop as soon as possible. Let Nelleke know if you need transportation, and from where, so we can hook you up with someone who is driving, or who wants to share a taxi. Thank you, and hope to see you on the 8th! PLEASE "SHARE" this link with EVERY AMERICAN you know!!! will be holding a community fundraiser to collect funds and supplies to enable the continued care and operation of the only locally government sanctioned wild animal rescue center located near Costa Rica's world famous Manuel Antonio National Park. Kids Saving The Rainforest, a not for profit Costa Rican organization and US non profit 501 C 3, was founded 13 years ago with the Monkey Bridge Program, and later expanded by an overwhelming community need to include an Animal Rescue Center for the Quepos and Manuel Antonio area. Founded by 2 young pre-teen girls who recognized the need to help the local wildlife as tourism developments began to effect their natural habitat, this will be Kids Saving the Rainforest first fundraiser since it was founded. Accustomed to bringing in enough proceeds for the Rescue Center through their own souvenir shop, with the downturn in the economy, this badly needed facility will be forced to close it's doors if they can’t raise enough money to cover their monthly expenses. "A full time resident vet, animal caretaker, volunteers and a guard all live on the property helping to rehab the many injured or confiscated animals. Unfortunately, this comes with a certain fixed cost, not to mention the food, maintenance, vet supplies and numerous other items required to care for a variety of exotic animals. ", laments rescue center coordinator Jennifer Rice. "The rescue center is the only legal facility in the Central Pacific area, and is a very necessary part of our community." adds Ms. Rice. All injured wild animals are brought by the community or by MINAET, the government entity in charge of overseeing the National Park system. At present there are some 55 different animals being treated to include exotic birds, 4 species of monkeys, 2 species of sloths, armadillos, agoutis, coati mundis, marmesets, timirins, and other exotic wildlife. Most are eventually re-released in the wild, though some are beyond rehabilitation and must stay permanently at the rescue facility. There will be live music, kids activities, ice cream, drinks, food, a raffle, and lots of fun for the WHOLE FAMILY!!! PRICE: $25 for adults and $10 for children. Tickets will be on sale at numerous local businesses. MORE INFORMATION: Anita Myketuk - 2-777-1002. “Saving injured wildlife is an integral part of living in this area.” says Kimberly Barron, Director of Marketing at Hotel Byblos. “This is not just a feel good fundraiser; these beautiful animals are one of the main attractions for tourism in our area. Local Manuel Antonio hotels and tourism operations that depend on National and International visitors cannot afford to ignore the need for a full service animal rescue center. With plans to offer awareness tours of the facility to area visitors, the rescue center's continued operation is a win win for all concerned.” adds Ms. Barron. This is just one step in the overall animal rescue plan for the Manuel Antonio, Costa Rica area, and with corporate and social responsibility programs of tourism operations like ByblosHotelCostaRica.com - not only will the local wildlife benefit, but the local tourist economy as well. If you would like to help, it’s easy by shopping at the Kids Saving the Rainforest souvenir store located at HotelMonoAzul.com . All proceeds go directly to saving the rainforest and the endangered animals of our area. We need your help and would like to invite you to a KSTR fundraiser! This is our first fundraiser since being founded in 1999 by 2 girls. In the past the rescue center brought in enough proceeds through our souvenir store. With the downturn in the economy, that is no longer the case. We will have to close the center if we can’t raise enough money to pay the rescue center’s monthly expenses. So we are asking for your support in order to keep this vital service open in the Manuel Antonio area! 2. Donate something for us to raffle at the fundraiser. 3. Provide food for the people attending the fundraiser. Business thanked on 8 Facebook pages!! You will feel great of knowing that you are giving back to the community and nature. Please get back to Anita Myketuk by August 24th with your contribution information. You can reach her at 2777-1002 or at casabuenavista1@hotmail.com. Please read the information below to see why saving the rescue center is so important. Kids Saving the Rainforest is committed to saving the wildlife that tourists come to see. (The same tourists who stay at your hotel, eat at your restaurant, or take your tours). Wildlife and the beautiful scenery are what make the Manuel Antonio area so special, and as the community, it is up to all of us to help protect these precious resources! The rescue center is the only legal center in our zone, and is not only a specialized clinic for wild animals, but is also an educational experience for vet students who intern with us. It also collaborates with multiple national research projects. The center is open 24/7, 365 days a year. We have a fulltime wildlife vet, a rehabber, a biologist and a grounds keeper on staff. In 2012 we diagnosed a new disease that had never been seen before, and this has led to research which will help the Mexican porcupine. Medical supplies and equipment, medical care, maintenance of enclosures, and specialized diets are just a few of the expenses incurred each month at the rescue center. The average monthly budget is $4,000. · The rescue center will be called and we will get to the scene as soon as possible. · The wildlife vet will evaluate the patient and stabilize it using IV fluids, an oxygen mask, analgesics and other medicines. · The animal is placed in a secure location away from people, dogs, and any other stress factors. · The burns are treated daily to avoid an infection and we also treat any cardiac, pulmonary, or kidney damage. · The rescue center provides a high-quality balanced diet for the animal. An electrocuted animal usually needs at least 15 days to heal. Our rehabber is on site 24 hours. · When the animal is ready, our staff finds the correct troop to ensure that upon release, the animal will be accepted and integrated back into the family. Kids Saving the Rainforest does not charge to care for these injured animals. We have tried to fund the expenses ourselves, (we do not have any outside nor governmental funding), and now we have to ask for your help in the form of donations. Please help us save the wildlife of our rainforest! Many thanks for helping us to save the wildlife, which in turn increases tourism to our area. We look forward to hearing from you soon, and hope to see you at the fundraiser on Sunday, September 9th! Saludos de Kids Saving the Rainforest (KSTR)! - Niños Savando el Bosque Lluvioso. Nos gustaría invitarlos a un evento para recaudar fondos para el Centro de Rescate. Motivo: Para salvar nuestro centro de rescate. Este es nuestro primer evento para recaudar fondos desde que fue fundado en 1999 por dos niñas. En el pasado el centro recaudaba fondos a través de nuestra tienda de souvenirs pero con el decrecimiento en la economía, ese ya no es el caso. Tendremos que cerrar el centro si no podemos recaudar suficiente dinero para pagar sus gastos mensuales. Necesitamos su apoyo para mantener este servicio vital abierto en el área de Manuel Antonio. Hay tres opciones para que usted pueda apoyar esta gran causa. 1- Donar dinero y asistir al evento. 2- Donar algo para rifar en el evento. 3- Donar comida y bebidas para las personas que van al evento. 1- Reconocimiento de prensa vía AP. 2- Agradecimiento hacia su negocio en Tico Times y Quepolandia. 3- Agradecimiento hacia su negocio en 8 páginas distintas de Facebook. 4- Tendrás la gran satisfacción de saber que estas dando de tu parte hacia la comunidad y a la naturaleza. antes del 24 de agosto con su informacion de donacion. Se puede contactar a ella al numero 2777-1002 o al email, casabuenavista1@hotmail.com . Por favor lea la siguiente información para conocer por que el centro de rescate es tan importante. Kids Saving the Rainforest esta comprometido a conservar la biodiversidad de este lugar tan especial, la cual es razón principal de que tantos turistas nos visiten y aporten a la economía de la cual todo Quepos subsiste. Así que toda la comunidad depende de estos animales que son parte fundamental del bosque lluvioso. Es necesario que todos nosotros ayudemos a protegerlos. • El centro es el único centro de rescate legal en nuestra zona siendo la única clínica especializada para animales silvestres. También colabora en múltiples investigaciones de salud animal a nivel nacional. • El centro esta abierto 365 días al año. • Tenemos un veterinario tiempo completo que se especializa en vida silvestre, un rehabilitador, un biólogo y una persona encargada de mantenimiento en el centro. • En 2012, nosotros diagnosticamos una enfermedad que nunca se había visto antes, en un puercospin y actualmente estamos probando una vacuna. • Equipo y materiales médicos, cuidado especial, mantenimiento de los recintos y dietas especializadas son algunos de los gastos que occuren cada mes en el centro de rescate. El promedio de gastos es de $4000 al mes. Para que se usan las donaciones? El centro de rescate sería llamado y llegaríamos al lugar tan pronto como sea posible. • El veterinario especialista en animales silvestres evalúa el paciente y lo estabiliza usando suero intravenoso, máscara de oxigeno y medicinas. • El animal se ubica en un lugar seguro lejos de gente, perros, y cualquier otro factor de estrés. • Las quemaduras son tratadas a diario para evitar infección y también tratamos cualquier daño cardiaco, pulmonar y renal. • El centro de rescate asegura una dieta de alta calidad y balanceada para el animal. Un animal electrocutado usualmente necesita por lo menos 15 días para sanarse. Nuestro rehabilitador esta en el lugar las 24 horas. • Cuando el animal se recupera, nuestro equipo busca la tropa correcta para liberarlo a su hábitat, el animal será aceptado y reintegrado a la familia. Kids Saving the Rainforest no cobra por la atención médica ni el cuido de los animales heridos, enfermos u huérfanos. Siempre hemos tratado de financiar los gastos nosotros mismos, ya que el gobierno no ayuda, pero en estos tiempos difíciles tenemos que pedirle ayuda a usted en forma de donaciones. Por favor ayúdenos salvar la vida silvestre de nuestro bosque. Muchas gracias por ayudarnos salvar la vida silvestre la cual es parte importante de la economía de nuestra área. Esperamos oír de usted pronto y verlo en el evento del sábado 9 de septiembre. Where does the plastic go that's recycled in Costa Rica?? What is garbage for many, can be useful to others; the contaminated plastic which is recycled in Costa Rica is exported to Japan where it is used as raw material to manufacture parts for cars, pipe lines and sleepers from the train tracks. The Foundation Limpianos Nuestros Campos works together with municipalities, to give proper treatment to the packaging of agrochemicals. So far this year, they have exported over 84 tons of material to the Asian market. The main objective of the program CampoLimpio and Ciudad Agro is the collection of empty pesticide containers and training in good agricultural practices respectively. The foundation promotes recycling through Triple Wash campaign where donors indicated material procedure prior to delivery to the plastic collection centers. Limpianos Nuestros Campos has four collection centers in Guápiles, Pacayas, La Garita de Alajuela, Pital and regional management of the Ministry of Agriculture also plans to open in Zarcero, Bagaces, Perez Zeledon, Nandayure and Guatuso. The project was developed in 2004, but it was not until 2008 that the collection was over 4000 kilos per month. Now it collects about 17,000 kilos per month. The organization hopes to increase the collection each year, in order to get to 95% of the plastic that is generated at the field level. At this time, it’s at 22%, which means about 150 tons a year. “Spreading the word about these initiatives is important, so that the fields of our country are increasingly free of these materials, of which there has been no proper disposal,” said Luis Diaz Matarrita, Foundation CEO. Locally, this material is also used for making plastic and wooden fence posts. Among the ideas raised by the foundation, work in collecting metal, cardboard and contaminated glass is being considered. Bailar hula es una cambia de vida tan divertida! DESPUES del 6 de Setiembre - mas 5.000 cualquier opción. La Asociación de Desarrollo Integral de Piedades, la Asociación Cívica del Valle de Santa Ana y la Municipalidad de Santa Ana tienen el agrado de invitarlos a la actividad de celebración del 105 aniversario del cantón de Santa Ana. Se llevará a cabo una Misa Campesina, musicalizada por Dionisio Cabal y con el Grupo de Proyección Folklorica Aserriceña. 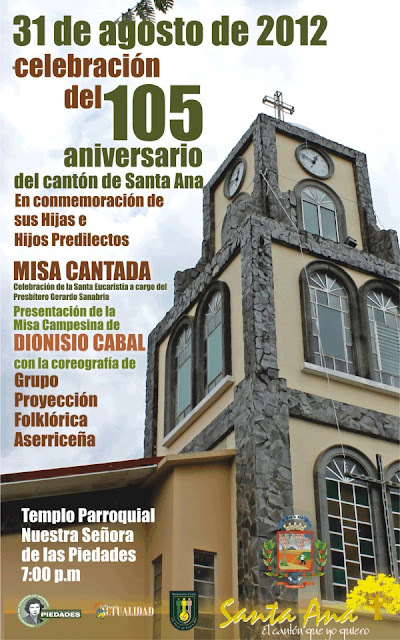 The Development Association of Mercies, the Civic Association of Santa Ana Valley and the City of Santa Ana are pleased to invite you to the activity of the 105th anniversary celebration of the corner of Santa Ana will be held a Mass Campesina, musicalizada by Dionisio Cabal and the Folkloric group Aserriceña Projection. I put it in my mouth directly (doTerra products are Therapeutic Grade so they're ok to put it IN your mouth/ingest though it's MIGHTY STRONG so most will put dilute it in water [I'm tough - I even do liquid Valerian Root straight!!) and the pain IMMEDIATELY went away!! I JUST looked at what else it can do to help whatever ails me and I'm EXCITED!!! I’m starting a Parasite/Amoebas cleanse (something they say we in Costa Rica SHOULD do at LEAST once every year if not 2 times a year [and since I LOVE sushi and - don’t gag Ms. Vegetarian – raw meat!! – I’m more a candidate for 2 times a year – yet I’ve never done one!!). It also helps with Athlete’s Foot and JUST 2 days ago I was saying I wanted to FINALLY deal with a toe fungus thing I’ve had going on for a bit!! Adele said I could even douche with it (diluted of course! May as well clean out the WHOLE body ey). Plus it said it helps with Insect Bites and as a repellent! Well it tis’ the season when the Mosquitoes come out and boy do I attract them (I’m just SOOOO SWEET and SUCCULENT!!!) so I KNOW I’ll be using it a LOT for that!! dōTerra’s Melaleuca Alternifolia: very potent; only takes a little. Melaleuca (Tea Tree) is a shrub or small tree with needle like leaves, which grows best in swampy ground. Also known as paper bark, the bark of tea tree is white and papery. The essential oil is steam-distilled from the leaves and twigs. (This grows best in Australia). Melaleuca has a warm spicy, camphoraceous top notes with pungent, medicinal undertones. It blends well with Lavender, Eucalyptus, Peppermint, Wild Orange, Basil, Clove and so much more. Non-toxic for all aspects. Works on: athlete’s foot, thrush, candida, cold sores, herpes, insect bites, spots, acne, and minor abrasions all respond well to local applications. Works well as an anti-viral when used for Chronic Fatigue Syndrome and H.I.V. motivated infections. Very effective with: Bleeding Gums, hemorrhoids, gingivitis, mouth ulcers, and periodontal disease; open wounds, scrapes, blisters, Candida Rash, warts, abrasions, dandruff, jock itch relief, eczema, seborrhea. It relieves the symptoms of asthma, bronchitis, colds, congestion, coughs, earaches, fevers, laryngitis, sinusitis, sore throats, tonsillitis, and whooping cough. Analgesic, anti-fungal, anti-inflammatory, anti-parasitic, antiviral, cardiotonic, neurotonic, phlebotonic, insect and lice repellent. All recommendations below are based on dōTerra CPTG Products only! Melaleuca is psychologically warming and strengthening. Its aroma is distinctly medicinal and many people find it more palatable when it is blended. Melaleuca invigorates the mind, body and spirit; inspires confidence, and dispels the doom and gloom of chronic ill health. Spritz Melaleuca directly on area. Melaleuca used in general messages and with AromaTouch Technique several weeks prior to surgery stimulates immune system so resistance to infection is boosted and post-operative shock can be reduced. Melaleuca 5 drops, Frankincense 4 drops, Roman Chamomile 3 drops, Clove 2 drops, Lemon 2 drops, gently mix oils and put 4-6 drops of mixture into Lotus diffuser to keep germs from moving from person to person and keep spirits up. Boil Water and let sit and cool a little and then add 2 drops of Melaleuca Oil to warm water and gently stir may add Agave or Stevia or Honey and inhale warm fragrance and sip to Sooth sore throat or sinus pain. Melaleuca by itself – rub into gums and on sores, mix with baking soda as a very effective toothpaste and gum healer. 8 ounces distilled water, Myrrh Oil 2 drops, Melaleuca Oil 2 drops and Peppermint 1 drop. Gently shake bottle and after brushing teeth, rinse your mouth thoroughly with about ½ ounce of the mixture. 1/8 ounce coconut oil, Melaleuca 3 drops, Roman Chamomile 2 drops, Oregano 1 drop, Peppermint 1 drop, gently blend and apply 1 drop on the aching tooth and the surrounding gum as needed. Melaleuca 2 drops, Peppermint 1 drop, Lemon 1 drop – apply to bottom of feet or on the back of the neck every ½ hr. or every 2 hrs. 1 ounce Coconut oil, Frankincense 3 drops, White Fir 2 drops, Melaleuca 3 drops, Thyme Oil 1 drop…Gently Blend in New bottle and apply to back of neck, chest and sternum to aid breathing and clear excess mucus. 2 ounces of coconut oil, Melaleuca 5 drops, Eucalyptus 4 drops, Myrrh 2 drops, Peppermint 1 drop. 1 tablespoon Epsom salts, Melaleuca 3 drops, Bergamot 1 drop, Cypress 1 drop, Thyme 1 drop. Add oils to Epsom Salts and mix into the warm water of a shallow tub. Sit hip-deep in the Tub for fifteen minutes. Repeat once or twice each day until your symptoms subside. 1 ounce of coconut oil, Melaleuca 2 drops, Sandalwood 3 drops, Wild Orange 2 drops, Roman Chamomile 1 drop and Frankincense 1 drop. Massage the mixture over your abdomen, lower back, and pelvic area. Repeat several times daily until symptoms are relieved for 24 hours. 1 ounce coconut oil, Melaleuca 2 drops, Lavender 4 drops, Coriander 1 drop and Myrrh 1 drop. Mix and apply externally as needed. 1 ounce coconut oil, Melaleuca 3 drops, Thyme 3 drops, Frankincense 1 drop, Myrrh 1 drop, Gently turn the container upside down several times or roll it between your hands to blend. Apply the mixture to the affected area several times daily as needed. Coconut oil 4 teaspoons, Melaleuca 3 drops, Roman Chamomile 4 drops, Lavender 3 drops, Geranium 4 drops, Grapefruit 3 drops, Thyme 2 drops. Gently blend and massage into the upper chest, back of the neck, shoulders, and along the back before going to bed. Breathe More Easily during Aerobics, Sports, and other Exercise:In Glass Spritzer bottle blend: ¼ teaspoon of Epsom Salts in bottom of Bottle, add oils and then 2 ounces of filtered water, Lime Oil 25 drops, White Fir 15 drops, Melaleuca 20 drops, Thyme 10 drops…Before exercising, spray the mists into the air and breathe deeply to help soothe breathing passages. Healing Oils of The Bible, David Stewart, 2005. Aromatherapy in Medicine, Jacque du Preneau, 1908. The Art of Aromatherapy, Robert Tisserand, 1995 Aromatools.com for: Books, Bags, Tools etc. NOTE: The advice shared in document has not been evaluated by the FDA. The products and methods recommended are not intended to diagnose, treat, cure or prevent any illness or disease, nor is it intended to replace proper medical help. Kindly understand that essential oils work to help to bring the body into balance - thus helping the body's natural defenses to restore homeostasis. Essential oils are not used to "treat" medical problems. Respectfully researched and presented for sharing on Melaleuca by Dr. Susan Lawton, 2011. (If you're looking for a new BUSINESS OPPORTUNITY - doTerra is a GREAT OPTION [it's a MLM] and Adele is THE BEST rep to sign you up as she's the ONLY leader that TRULY Speaks English [her first language since she's from Massachusettes) AND Spanish but #1 - she BY FAR gives the BEST Support and training to her "downline"!! [I've heard this from MANY of her people!!!]. PLEASE make sure you tell Adele that Vicki Connected you!!! Please "SHARE" this link with EVERYONE you know that can use it! LUGAR: Kaleidoscopio Artístico and Natural: 100 metros Sur de la Pops - Curridabat. Edificio (La Casa) a mano derecha, esquinero, 2 plantas, estilo Tudor, portón de hierro grande y palmeras altas a la entrada. TEMA: Ho significa “Hacer”. Ponopono significa “Lo correcto, lo ordenado”. Es una tradición y creencia hawaiana de sanación para hacer el bien; corregir, restaurar y mantener buenas relaciones en familias y grupos. El Hoo-Ponopono es un proceso de tomar la responsabilidad de tu vida, de contrición, arrepentimiento, de pedir perdón y transmutación y consiste en realizar una petición a la energía del Amor Universal e Incondicional para cancelar y reemplazar las energías tóxicas que puedan hallarse en uno mismo. El Amor efectúa dicho proceso fluyendo a través de la Mente Espiritual o Supra-consciencia y continúa su flujo a través de la Mente Consciente, liberándola de la excesiva racionalización para finalizar en la Mente Emocional o Subconsciente, donde anula todos los pensamientos que tengan emociones tóxicas, reemplazándolos con Amor incondicional. Aprenderemos a construir nuestro propio metro cuadrado de un sistema hidropónico completo, listo para la producción de los mismos microvegetales. Cuatro horas de pura práctica dirigida, en la forma más sencilla y concreta que se puede, enfocada a que usted comience su producción ese mismo día. This MEGA TICKS ME OFF - as isn't this just another way the catholic church is putting their 2 cents into the government (more reason churches throughout the world should pay taxes. I just don't get how a group that isn't contributing $$ can influence $$ decisions or ANYTHING!!! [this issue is NOT just a Costa Rica issue!! This is a problem throughout the world!!]). This IS a Human Rights issue and probably more negative marks against Costa Rica on some study. It's out and out BEYOND CRUEL that people that can't "naturally" have children can not use this method that is used THROUGHOUT the world!! NOTE: Costa Rica banned In Vitro Fertilization (IVF) procedures 12 years ago. The Ombudsman’s Office will ask the Inter-American Court of Human Rights to order Costa Rica to lift its ban on in vitro fertilization (IVF) and to adopt legislation regulating the procedure. The office will present its position during a trial set to start on Sept. 5 against the Costa Rican government for banning the practice 12 years ago, after a ruling from the Constitutional Chamber of the Supreme Court. Ombudswoman Ofelia Taitelbaum said a court ruling on the Costa Rican case will be issued later this year. In 2010, the Inter-American Commission of Human Rights ruled that Costa Rica’s ban on IVF violents Articles 11.2, 17.2 and 24 of the Human Rights Convention and recommended the country to create consistent rules for granting access to the procedure. Tarde de exposiciones públicas y en centros educativos. 7 p.m. Afternoon public exhibition and educational centers. 7 p.m.
Gala Night of Cultural and Social Law celebrating "Day of the Black Person and the Afro-Costa Rican Culture", with artists and national and international groups: Something Positive Dance Company of New York, the Caribbean All Stars Steel Band of Trinidad and Tobago, presentation of the renowned reggae singer: Banton, Toledo and Jahricio, Ivory concert group. Dedicated to the Deputy Elibeth Venegas, developer of the Law "Day of the Black Person and the Afro-Costa Rican Culture - August 31"
Desfile de Gala en la Ciudad de Limón. 2:30pm. Al cierre concierto Grupo Marfil. Gala Parade in the city of Limon. 2:30pm At the closing concert Ivory Group. 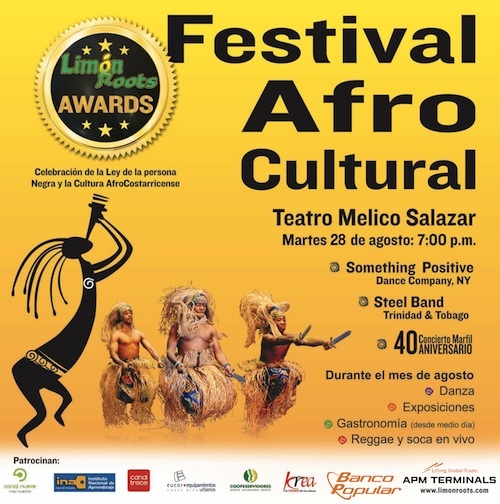 Limón Roots, a Caribbean magazine, will present 7 awards to different women in the Afro-Costa Rican community Tuesday. The different categories vary from sports and education to business and human rights. "This one is for us," said Haydée Jimeñez, cultural promotor for Limón Roots. A special, sentimental award will be given out called Abuela. In the black culture, the woman has been the backbone of the family throughout time, giving love, food and support to the community. This is an award from the heart to thank and honor a woman's strength, Ms. Jimeñez said. This event is one of many during the Afro-cultural Limón Roots Festival that started Sasturday. It aims to promote the revival of values, traditions and customs of Afro-descendants and to promote a greater knowledge of the Costa Rican population on the culture of the black ethnic group of the Costa Rican Caribbean. The two-week event celebrates the day of the black person, as well as unites African cultures across the Caribbean. Aug. 31 is Dia de la Persona Negra y La Cultura Afrocostarricense, according to Ley 8938. Under the law schools are authorized to hold commemorative events related to this day. The law came about in the late 1970s during the administration of President Rodrigo Carazo, as an initiative led by the union of Costa Rican educators. Passage of the law, coupled with the rescue, the reconstruction and declaration of the Liberty Hall, also called the Black Star Line, in the city of Limón, as a national historical heritage site has strengthened the community's black pride, said the organization. In 1991, the people in Limón started having festivals. The parties were an interchange of cultures and looked for a relationship between other African cultures across the world, said Ms. Jimeñez. All the festivities conclude with the historic parade "Gala Parade" in Puerto Limón Aug. 31. Prize literary figure Quince Duncan and composer Manuel Monestel will speak, and Calypso artists Walter Furguson and Johnny Dixon as well as Olympic athletes Nery Brenes and Sharolyn Scott will be recognized. The weeks also seek to render tribute and distinction to persons or groups of people of African descent who have excelled for giving important contributions in different sectors of the world. One of the featured groups will be the Trinidad and Tobago steel band Caribbean All Stars. Caribbean All Stars is also known as The Graduates and has been together 12 years. This will be the group's fifth visit to Costa Rica. In the past the band participated in the Flores de la Diaspora African Festival, said band leader Michael Charles. "The festival celebrates the achievements of blacks. The steel drum is the only musical instrument created in the last century and it was created by the black man. It is only fitting that we come and celebrate," said Charles. The steel drum is made completely out of recycled products. In Trinidad oil is a staple. People couldn't afford drums, so residents would take the oil containers and bang the sides with bamboo. The concept progressed into the steel pan drums of today. 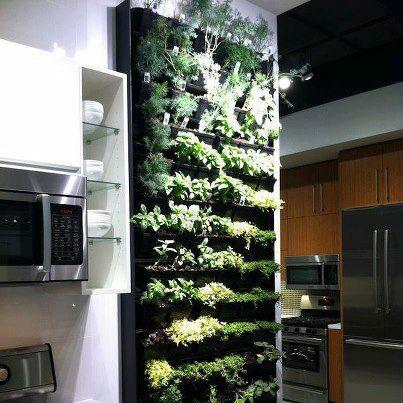 "Some people say it is the best piece of recycling produced." said Charles. Caribbean All Stars is a single pan band because everyone has his or her own drum to play. The piece is nicknamed luggage, because when traveling its so small it can be a carryon. Members arrange most of the music themselves and perform from the pop, calypso, reggae, jazz and sulka genres. "We interpret the mood of the audience and play. We give it our spice and mix our own blend. Also, we try to make a link to the audience so they can understand what we are playing." The Caribbean All Stars will play at the award show Tuesday along with Something Positive Dance Company of New York, and Groupo Marfil of Costa Rica. This will be Grupo Marfil's 40th Anniversary. So this isn't REALLY "about Costa Rica" but I'm going to share it anyways (hey - it's MY blog!!) - THOUGH - it IS "about Costa Rica" - and EVERYWHERE in the world as what these words stand for effects EACH and EVERY one of us - how WE feel INSIDE!!! I KNOW this to my CORE to be TRUE as I KNOW that we are ALL CONNECTED!! It's also VERY relevant because how many of you have had a dream/fantasy - sometimes for much of your life (like moving abroad or specifically to Costa Rica) but were too afraid to make that leap??? MOST people I'd venture to say!! Perhaps this poem will resonate with you and may help you get that EXTRA feeling of CONFIDENCE that you CAN DO IT (or ANYTHING ELSE you desire!!)!!! I remember the first time I heard this - JUST before my birthday (I look at birthdays as the start of MY New Year - a time of NEW Beginnings - VERY significant time) and I cried SOOOO HARD because it was SOOOO MY TRUTH!!! I welcome you to read this and maybe after you've read it, you will take a step back and look at where there may be some truth in it for YOU and/or some UNresolved issues still to heal (we ALL have PLENTY of those don't we?!?!?). You are a child of God!!!!! We are ALL meant to shine - as children do. We were BORN to make manifest the glory of God that is within us!!!! It's not just in some of us - It's in EVERYONE!!! Is there some of YOU in this???? Let's SHINE OUR OWN LIGHT!!!!! The WORLD NEEDS you NOW more than EVER!!!! I REALLY hope you will take a few moments and "SHARE" this with EVERYONE you know!! Where does Costa Rica get it's Oil from for Gasoline? It looks like Costa Rica and surrounding countries buy their oil • petroleum for Gasoline from Venezuela. Mama Nature is sure giving us LOTS of "warnings" she's NOT HAPPY with us - ESPECIALLY today where there were MEGA LOTS of shakin' going on - ESPECIALLY So. California?? DARN - I'm from there (youth) and I don't EVER recall ALL that type of seismic activity like they had today!!! I heard they had a swarm of more than 300 quakes Sunday in Imperial County, including at least 2 greater than 5.0 magnitude. Those temblors caused minor damage and forced evacuations from some buildings. Remember to ALWAYS BE PREPARED!! PLEASE SHARE this with EVERYONE you know that could use this information! Ok, so Mama Nature is obviously NOT HAPPY with us these days!! It seems now more than ever she's giving us some BIG "hints" to WAKE UP - yet what are WE - EACH and EVERY ONE OF US - to show HER how WE APPRECIATE ALL she's done for us??? What are WE doing DIFFERENTLY to help her out and fix the damage WE'VE EACH created in SOME way??? One of the ways she's showing this anger is with a BUNCH of earthquakes. Since Costa Rica seems to have LOTS of earthquakes (most small), I'm sharing some things that MAY help you be a little more prepared for the next earthquake we have in Costa Rica (and there WILL be more here!!!). Laptops, cell phones, cameras, etc. I welcome you to pass this on to EVERYONE that lives in an earthquake area!! This blurb is a compilation of info I’ve pieced together from LOTS of resources, as well as my observations/experiences growing up in California and experiencing LOTS of earthquakes of varying magnitudes!! I’m a BIG believer that having information helps us be more EMPOWERMENT so WHEN something happens (and it WILL living in Costa Rica!! ), we can hopefully react more consciously hence handle everything better and be able to help others more!! This document is NOT the gospel and I’m NOT a professional (though I’m waiting for a friend’s response to it that’s out there on the line as a Emergency Response Expert). I used to keep a “Bag” filled with many of the items listed below. It was a BIG duffel bag on wheels so it’s easy to grab and drag out but it also had long straps so I could do it as a HEAVY BackPack. Now I keep most of the things in 2 places but writing this I’m thinking it might be smart to go back to that bag again - just in case. I also believe it's good to have THE MOST IMPORTANT things in a smaller Backpack that was easy to grab, close to your main exit and/or so you could grab in case you only had a few minutes to run back INTO your house in a disaster. I got this “hit” after one of my friends was given 20 min. to run into her home that was destroyed in the last big San Francisco earthquake was to have one small bag that if you HAD to run for your life - what would be the MOST IMPORTANT things you’d want to take like documents, photos, jewels, special keepsakes. Another “hit” I JUST got was to batten down the hatches some more so I had my friend looped extra wire tied a few times around screws - securing mirrors, clocks and wall art. Assume if a major earthquake/disaster happens that most everything will be closed down at least for a few days and/or power has resumed and/or supplies will be limited/non-existent - banks, stores, gas stations, public transportation (to say nothing of restaurants! ), hence the importance of being as prepared as possible. PLAN AHEAD!!! I also have my entertainment center bolted to the wall with “L Brackets” and I put rubbery meshy shelf liner under things so they don’t slide off shelves, etc. (I only lost 2 glasses - neither I had this under and a big heavy expensive vase was just fine that was next to it). I keep a whole set of clothes at the front of the house along with shoes and a jacket – just in case (after a big one, I’ve been known to sleep with my clothes on – just in case I need to run!!). ELECTRICITY GOING OUT - I had one of the guys with the power company share an IMPORTANT HINT with me to help prevent potential problems – in the case of a power failure, you might want to shut off all your power switches from the main box but say one or two key ones as he said there IS the POTENTIAL of frying your electrical system via a power surge when the power comes back on (evidently this seems to be especially prevalent when they turned your electricity like they like to do if you’re a couple days late from paying your bill in Costa Rica!!). In times after a large earthquake and knowing more strong aftershocks can happen (or when I know we’re going to have a scheduled power outage) I turn my fridge and freezer up to 8-9 so things will last longer. We’ve been taught to stand in a doorway but I find that MANY doorways in Costa Rica are WOOD framed. NOT enough to support much of anything hence having SERIOUS potential to kill you!! Get to know and CARE about your neighbors!! You may just need each other in case of an emergency!! You can share tools, help each other, share food, have a party (that’s what we did in the San Francisco earthquake – since we had no electricity in the whole area and it didn’t seem like it was going to come on any time soon, all the neighbors brought their food out of the fridge, alcohol and we feasted and partied all night (some of us [ok – me!!] figuring if something worse happened, we’d feel it less if we were drunk!!). Being new in the complex, I hadn’t known many of my neighbors, which I got to know FAST!!! This is ESPECIALLY important for people that are single and/or have any health issues/special needs. With your family/housemates, have an “escape route” (as you would in case of a fire). In areas with serious damage – put out a white flag out after the quake if everyone and everything is OK. STEP #5: Protect yourself during earthquake shaking- drop, cover, and hold on. STEP #6: After the earthquake, check for injuries and damage. STEP #7: When safe, continue to follow your disaster-preparedness plan. BAGS: Heavy-duty BIG plastic bags for waste disposal (or as a rain poncho). BATTERIES: LOTS of extras in various sizes (check or better yet, change them at least once or twice a year). Personally, though I normally use them, in this case, I would NOT relying on re-chargeables since they tend to not last as long and you may not have electricity to re-charge them. BLANKETS: If you’re in an area that sometimes get colder – you might want to have some Solar Blankets. BLEACH: To add to the water if needed. CANDLES - TEA: Tea candles are best as they do NOT drip and last 3-4 hours on average. You can get a bag of 100 at PriceSmart for around 3,000. The markets have small boxes of them. CAR: Extra tire, jumper cables, taper thing to break the window, fuses, inspection lights, Flat Tire Fixer, tow ropes, traffic cones, reflecting triangles. CASH: Have enough small bills to last you at least 4+ days – especially if the power is off and atm machines aren’t working. Credit card processing may NOT be possible/working if the power is down. FIRST AID KIT: LOTS of band-aids, Antibiotic Ointment, Pain stopper, Asprin/asprin-type product (peppermint or eucalyptus oil is the natural way I handle headaches), Gauze Pads, burn dressings, burn spray, hydrogen peroxide, ice packs, SPF wipes, antimicrobial wipes. FOOD: Have PLENTY of canned food (ideally with the pop tops – otherwise make sure to have a MECHANICAL/ manual can opener), things with a long shelf life to last at least 4-7 days. “Rations” - http://BePreparedSupply.com/foodwater Even better – HEALTHIER FOODS like Protein Bars, dehydrated fruits. Heck, through in some TREATS for you!! (in the BIG San Francisco earthquake, all I wanted on my way home from work was a bottle of Chivas Regal! Though I RARELY drink, my take was IF something worse came down, I didn’t want to feel it and I was splurging/going out in style!!! DISPOSABLE SERVING THINGS - You’re not going to want to do dishes (that is IF you have water) so have a BUNCH of Paper Plates, Disposable Flatware and Disposable Cups. LADDER – Especially an EMERGENCY ESCAPE LADDER or at least some heavy duty rope knotted to shimmy down if you have 2+ stories. FLASHLIGHTS - I normally keep one by the front door, one in my night stand, one in my desk at least. I also have a BIG industrial strength one. NOTE: I keep the batteries in a baggie taped to the item so they don’t wear down. PUSH LIGHTS: http://alibaba.com/showroom/Push_Light.html I have these strategically placed near the entrance in each bedroom, one in each bathroom, a few in the halls and others in most common spaces around my home. They slip over a nail so if the lights go out, you can just lift it off and walk on! MEDICINE: ALWAYS have at least a few+ days supply of any medicine you’re dependent on!!! Especially because pharmacies may be closed down. PERSONAL HYGIENE ITEMS: toilet paper, hand sanitizer, soap, toothbrushes, toothpaste, wet naps/baby wipes (REALLY GOOD for cleaning yourself up!! ), tissue, razors, combs, port-a-potties, toilet chemicals, showers, privacy tarps. PETS: If you have any pets – remember to have at least a few days of food for them also. PHONE: The OLD FASHIONED TRIM LINE phones are the best as they do NOT require plugging into an electrical/power outlet. RAIN GEAR: You know ALWAYS to be prepared for rain in Costa Rica. Have a bunch of rain ponchos. SMALL TV - BATTERY OPERATED: Better yet - an AC/DC TV/AM/FM Radio combo I find best (make sure you have LOTS of batteries for this as it takes a LOT and they tend to be D’s which aren’t always easy to find in CR). TOOLS: Wrench (adjustable, crescent and pipe wrenches to turn off gas and water supplies. MOST important – a On Duty Gas Shut-Off Wrench [CRUCIAL if you have gas to prevent explosion] Make sure you’ve tried this BEFORE so you KNOW what you’re doing. EVERY family member should know how to turn off the water, hot water tanks, gas, master switch on the electricity+!! - http://americanfamilysafety.com/kits/gas-water-shut-off-tool, Screw Drivers (ideally a multi-head one), Hammers, Nails (all sizes), PryBar, Shovels, Bolt Cutters, Axes, Saws, Safety Goggles, ROPE, mirrors, pliers, crow bars, dust masks, duct tape, hard hats, safety goggles, knives!!! TURN OFF YOUR MASTER ELECTRICAL SWITCH (when the power goes back on again - it could be such a surge that it could fry your outlets and what’s connected to them). VOICEMAIL ON YOUR HOME PHONE (as well as cell of course): I think chances are better of electricity being off (hence a personal answering machine not working) vs. the ICE voicemail system going down. Create a plan with select people that Goddess forbid, if you cell dies, someone else has your code to get into your voicemail and can leave a message saying you’re ok or where they can reach you otherwise. ESPECIALLY have someone NOT in your area (practice this ahead of time as it doesn't always work from further away). Also, have someone out of your area that can call your friends/people concerned to let them know you’re ok (which means giving them a list of all emails/phone #s). 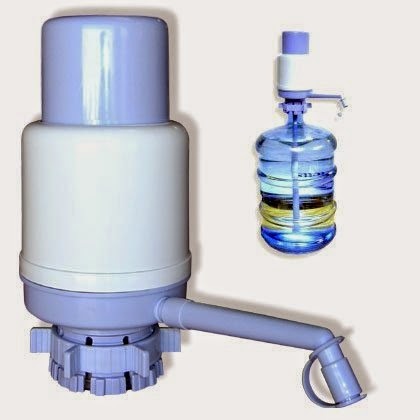 WATER - PURIFIED/DRINKING: I ALWAYS have at LEAST 2-3 extra unopened 5-gallon bottles of purified water (as well as ideally a bunch of individual water bottles for each person to refill from the 5 gallon bottle - which means it would help to have a siphon to pour it into as well). A DRINKING WATER PUMP is smart (if you have it up on a stand, aftershocks may knock it over. You can find these at the market where you find the 5-gallon bottles). I also have a 5-gallon bottle filled with tap water that I put under the cupboards in each bathroom for when the water goes out (and you KNOW it does in Costa Rica). PRESERVING WATER - Pure or distilled water doesn't need to be preserved. It will stay fresh literally forever. It will take on the taste of the container it's in and it looses it's dissolved oxygen. Water from the tap is pure enough to last indefinitely. You get into trouble if there's some kind of food for bacteria in the water. The loss of the oxygen makes it taste flat. When you decide to drink it just pour it back and forth between a couple of containers and it will taste OK. Chlorine is use to purify water. Four or five drops of house hold bleach in a gallon will kill most anything of an organic nature in the water after you let it set a while. The chlorine is used up in oxidizing the impurities so the amount is determined by just how much stuff is in the water. If there's too much chlorine in it you will taste it and you can again pour it between a couple of containers to let the excess escape before you drink it. This is good in an extreme emergency. Of course you settle out the mud first. Things like oil and hydrocarbons ruin the whole process. WHISTLE: Smart idea!! - oOne for each person in the house that they keep in their bedroom plus a few in this kit. This could be a lifesaver! MISC: Depending on where you live you might want to have Insect Repellant, Rain Ponchos, Jacket. The cheapest place to find some of these tools is actually Pequeño Mundo (the bigger stores are better) - especially tools, gloves, etc.! There are many things out there that dispute Doug Copp’s findings/beliefs on how to react in an earthquake, you get to do what YOUR intuition “feels” right. For ME, there’s a LOT in what Copp says and if animals are following these leads with their natural VERY intuitive nature, I think there IS a lot to be said about that. You look at it and figure out for yourself!! What hints do YOU have to add???? NOTE: I am also one of the "Wardens" for the U.S. Embassy in Costa Rica so if there's anything I can do to assist you, help find someone in the case of a disaster, please notify me. Has this post been helpful to you? Given you more Ease?? Details on how to do it are at the top of this page. PLEASE "SHARE" this link with EVERYONE you know that lives in an Earthquake Zone - as you never know!! Romney's Policy on Latin America . . .
Are you suffering from PAIN? Watch Dr. Oz today.